I like to create paper models of my robots before I cut parts out of acrylic on the laser cutter. To verify that all the parts will fit together properly, it’s important that the paper models are printed at the exact size of drawings. Resize the window to reduce the amount of white space around the drawing. 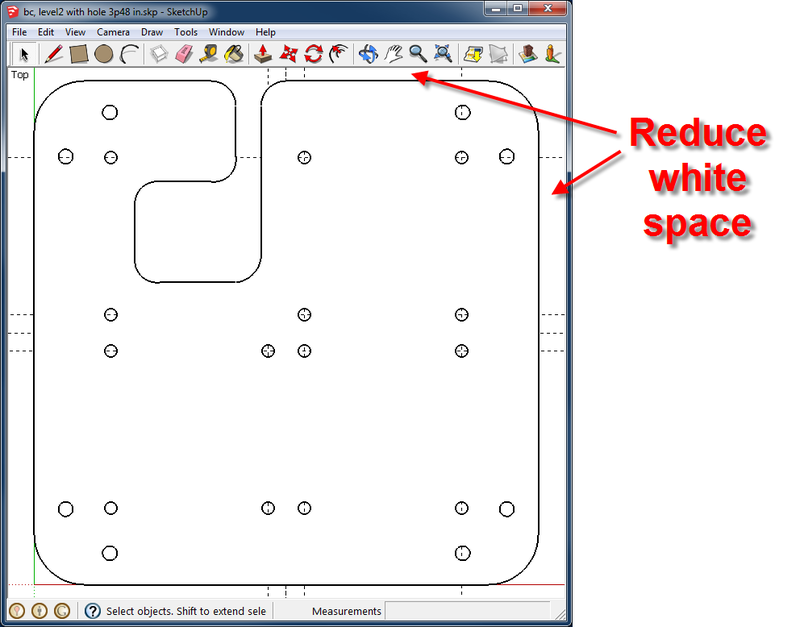 This step is important because when you print, SketchUp will print not just your drawing but all the space around it too. Thus, if your drawing is a one inch square, but the window shows six inches of space on each side of the square, the drawing will be spread across multiple pages when you print. 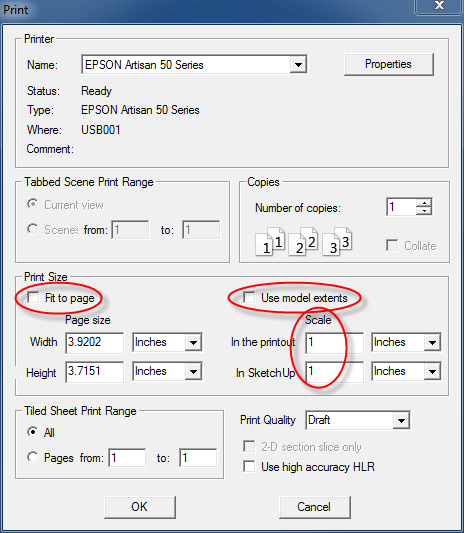 In the Print option window, uncheck the “Fit to page” and “Use model extents” options. Set both scale values to 1. Verify that the “Tiled Sheet Print Range” shows “Pages from: 1 to: 1“. If is says pages from 1 to 2 (or any other number), your print will span multiple pages. If your drawing is larger than the size of the paper, there is no way to avoid the print spanning multiple pages and still print at actual size. NOTE: The “Page size” does not always match the actual page size. In the previous image, the page width is shown as 3.9202 inches, but my drawing measures exactly 5 inches on the printed page. Your drawing should now print on one piece of paper at actual size. If you drawing is still not actual size, it’s possible that your printer might be scaling the print. For example, my Epson ink jet photo printer prints very accurately (as one might expect from a photo printer). However, my HP Officejet all-in-one printer scales printed drawings by about 0.96 in the Y direction. Please let me know your results using this procedure by leaving a comment below. I am using Sketchup 8 and cannot stop it wanting to print multiple pages. I have closely followed your procedure to no avail. As a test I have tried to print a 1 inch square but SU wants to print over 2 pages with the square in the middle. It is most frustrating. I repeated your test with a 1 inch square. If I skip step 4 in the procedure above, I get the same results you do: Sketchup prints the square on two pages. Perhaps I didn’t explain step 4 well enough. If you email me a screen shot of what Sketchup looks like after you complete step 4, I can check if it looks that same as my test. Hi – did john email you the file? I have the same problem. Both “Fit to page” and “Use model extents” are unchecked. I use ledger paper size in Adobe Acrobat, and the part is 137 x 172 mm. The printout is always 2-page, with the actual part taking up a small proportion of each page (i.e., it could fit in a single page 2-3 times). This sounds like a serious SU bug. Any solutions/ideas? Post a comment with a link to your file. I will try to print it. I did this test too and had the same problem. Solution for me – you have to uncheck BOTH “Fit to page” AND “Use model extents”, as it says in Osman´s text. I only unchecked “Fit to page” and that was my error. Hope it helps. Osman Erlap – Thank you for this tutorial! – very helpfull for me. Yes uncheck both fit to page and model extents and change to 1:1 on scale. Change print page 1-1 and ignore paper size. Yup, those are important settings. Thank you very much! 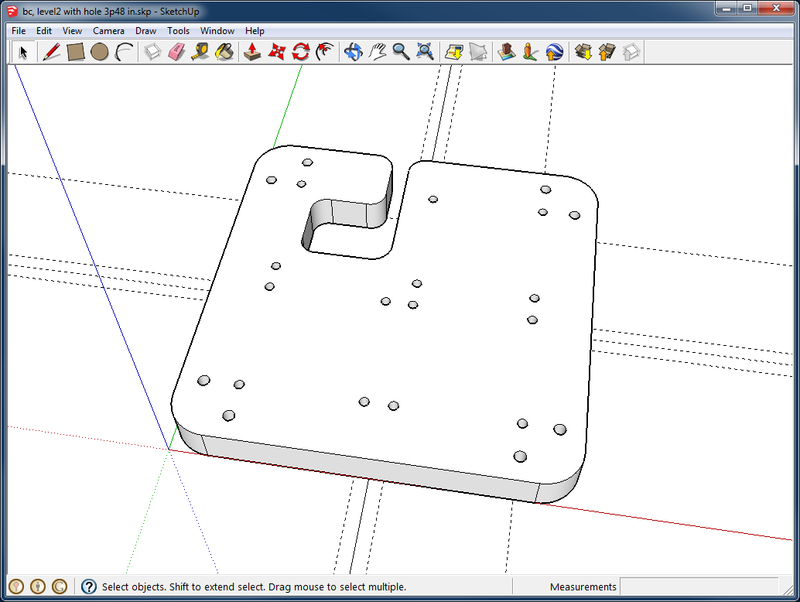 Resizing the sketchup window was what I needed to make it not stretch across multiple pages. It still isn’t printed at exactly actual size, but I don’t need it to be for what I’m doing. The important part was getting it to print on one page and very close to the actual dimensions. Good write-up and exactly what I was looking for. I was quite frustrated being able to design what I want but not able to print it full scale. I had gone through most of what you talked about just didn’t change the scales to 1 and 1. To bad this explanation isn’t in the V8 help documentation. Thanks for your help. I want to print in a scale of 1:50. but when I opened the Print option window, and uncheck the “Fit to page” and “Use model extents”, I’m not able and adjust the scale. The fields are gray and may not be adjusted. does anyone know why? Why sketchup is sometimes such a pain, I want to print a horn shape 46 cm x 52 cm wide on multiply pages but do not now how, it print just on one. Thanks. Resizing the SU window helped me to not print my small project on multiples pages. Maalesef benim Turkce website im yok. Dorduncu adimi tamamen yaptinizmi? Bu adim en muhim ve onemli adimdir. Nice Tutorial.saved my day.Can you explain why page size does not match. Not sure what you mean by page size does not match. If you can rephrase your question, I’ll try to help. this doesn’t work. sketchup always wants to put the model in the split of multiple pages. sketchup bug or something. 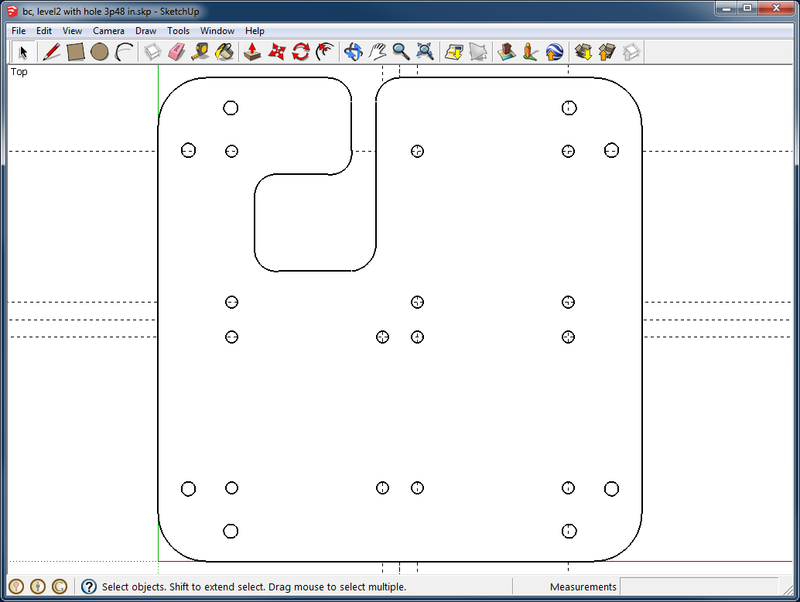 When I use your method the 2D model that I’m trying to print (over 2 pages) looses a section in the middle. Can’t figure out why. I tried printing an image over two pages. Although there is a blank area in the margins of the two pages, if I cut off the margins, the image is the correct size. I created a 5 inch square. 2.5 inches of the square was printed on one page and 2.5 inches were on the other page. Have you tried cutting off the margins and pasting the two resulting pages together? If you do that, I bet the resulting image will be the correct size. You may be correct – but not in my case – visualize a 160 x 450 rectangle with a series of 10 drilled holes equally spaced along the 450 dimension. This model , when printed over 2 pages only prints 8 of the 10 holes, therefore, the actual size is not correct. Works perfectly using Sketchup 2016 and using mm instead of inches. Thanks. Wow! Thanks! Just what I needed to print a full size template for a woodworking project. Worked a treat! Thanks! That one little thing .. reducing the white space .. so THAT was the problem!! Ya, it’s tricky. I wish it was easier! If you post a link to your file, I can try printing it. I have an officejet printer and the scaling is way off. When I enter the print-preview screen (file -> print preview) to adjust the scale, all fields were blank! I also have an officejet (L7780). Can you post a screenshot of the print dialog box? I am having the same issue as some with not having any info available in the print window. I also have screen shots but can’t seem to upload them to this page. Thanks man, this issue had plagued me for years. I would eventually get it after messing with it for a long time, and wasting lots of paper, not knowing exactly what I did to get it to come out right. The Sketch Up help instructions didn’t seem to be very clear or helpful. Your solution is very clear, precise, and it works. The secret is the resizing of the window to reduce the excess area around the target. You also helped to clear up the multitude of choices on the print screen, which were also confusing, and not covered well by the help file. Glad the instructions worked for you! Great article, exactly what I was looking for. 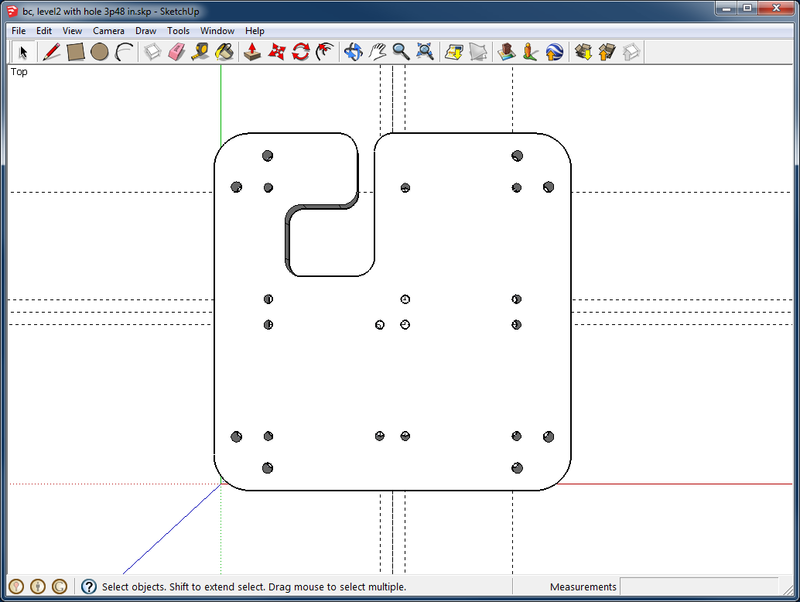 Additionally, I also want to have some parts laser cut but they want it in a CAD format – how do you go from a SU drawing to something a laser cutter can use? 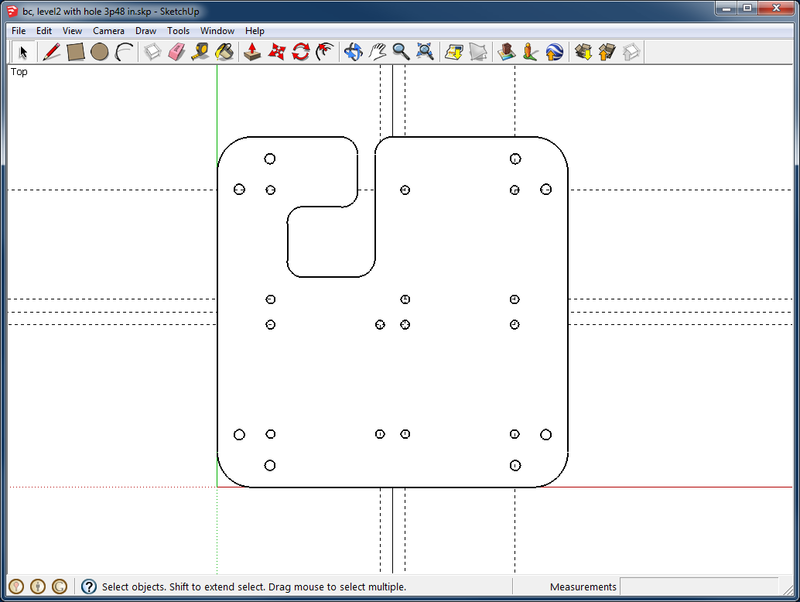 The laser cutter will most likely require a vector file. SVG is a commonly used format. Some vendors also use DXF files. Some vendors take only STEP files, and then they convert it to a vector format. Ask your laser cutter operator what file they require. The free version of Sketchup has limited output file formats available. What I have done in the past is create my design in the free version of Sketchup, download the trial version of the Pro version, read the design into the Pro version, and use the Pro version to output the file in the correct format. I have designed a flat template to cut a piece of leather so that when the edges of the leather are pinned to wall vertically and horizontally it creates a pouch large enough for A4 envelopes. I have an A3 printer and know that the template onto two portrait A3 sheets (landscape A2, if you will). Using your method Sketchup want to print 16 pages! What on earth am I doing wrong?! Hi, this worked very well for me. I was able to get 1:1 printouts of my project. Thank you so much for this explanation. I was going nuts trying to get a 20cm x 22cm drawing to print on one page while SU kept offering 4 or 6 pages! All done now, magic; white space was the key. Thank you soooo much for this tutorial. I was having trouble printing my project on 2 pages. It was trying to spread it across 6 to 18 pages, depending on the size of the Sketchup window. After reading your tutorial, I understood why I was having so much trouble. Thank you VERY much!!! For example, if there is a lot of white space on the left or right sides of the drawing, grab a corner of the Sketchup window, and drag it left or right so that the white space is reduced and the drawing fills the window. Make sense? to follow thank-you for that! At last I got a good result but with one glitch I thought I would share with you. Thank-you so much for taking the time.